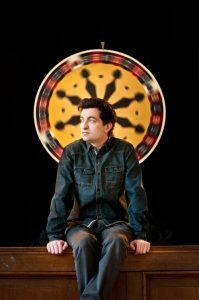 In these times of short attention spans and the need for instant gratification, it is refreshing to have an artist like Ultan Conlon capable of producing deeply affecting songs like the ones on his soon to be released second album which demand you sit down and slowly listen to over and over. 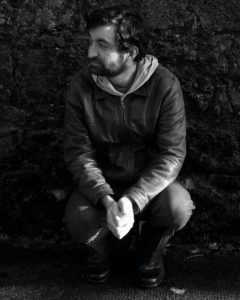 Ultan combines common themes and familiar situations with coherent prose and wraps them around musical styles rooted deeply in traditional rock and roll, country and folk. There is no slick polish, flash or tricks to the songs, nor is there to the man himself. Love, regret, heartbreak and hope are presented in a candid way made even easier to empathize with due to Ultan’s comforting and uncontrived vocal delivery. Results of his foray into songwriting came in the form of Ultan’s first record ‘Bless Your Heart’ (2009). Recorded near home with a band he’d assembled after a few years of playing across Europe and the US, garnering high praise from listeners and reviewers alike; “The most impressive Irish debut since Damien Rice’s O” said the The Evening Herald. Perched on the cusp of turning thirty Ultan found himself, in a glossy Roy Orbison moment, imagining what it would be like for an older man who’d been married for years but had lost his ability to communicate to his partner attempt to reignite the fire of their youthful love. Putting pen to paper he came up with a new song, ‘In the Mad’. This would provide not only the title for his soon to be released ‘Songs of Love So Cruel’ (2013) but also the impetus for Ultan to further explore how relationships stand the test of time, especially in these modern times. After demoing the tunes at home, basic tracks were recorded in three days at Grouse Lodge in Co. Westmeath, Ireland. Final versions were completed with the help of collaborator Eoin McCann under the watchful eyes and ears of Colin Elliott (Richard Hawley) in his Sheffield, UK studio. ‘Song of Love So Cruel’ finds Ultan not just comfortable with fuller instrumentation but also more versed and focused as a songwriter. In a time when the idea of a concept album might scare away not only listener but performer as well, Ultan has embraced the notion to boldly put together a stellar collection of songs that, while capable of standing on their own, insist that they be heard together from beginning to end. Much of the album’s theme is that of reflection and looking back from various perspectives on lives lived, lovers who’ve faded away and some who’ve remained. On the first single ‘Lonely Avenues’ Ultan asks the listener to harken back to a different era, not necessarily of simpler times but certainly slower and perhaps less complicated. The generations may be different but the feelings and the experience of a man’s love remains the same through the ages. From the storming rock of ‘Place of Sanctuary’, to the gentle country tinged ‘Dance to Paper Roses’ and on to the stirring duet with long time friend Sabrina Dinan on ‘The River Flows and the Wood Creep’, these songs change style but never feel out of place with one another. The closing track ‘When I Fell In Love With You’ completes the journey and finds love is the victor as Ultan assures us “There is nothing left to do but grow old together“. With a new album and videos coming soon plus tours to follow in the springtime there is much excitement as Ultan approaches the next step in what promises to be a long and fulfilling career. An artist should grow but at a very gradual pace”, says Ultan. “I don’t believe in unnaturally trying to force anything”. Asked about what’s most important to him musically Ultan replies, “I believe sound, image, and great voices come and go but great songs will always remain”. It can be sure that Ultan Conlon knows a tremendous amount about great songs and his should certainly stand the test of time.